In recent years, cricket games have become so complex that those who’ve just wanted to have a quick bash and crash were sent packing back to the pavilion. Big Bash Boom aims to change that. It wasn’t always that way with video game iterations of cricket. Way back in the 1990s, the likes of International Cricket on the NES and Super International Cricket on the Super Nintendo system knew the secret to appealing to the whole family, which was applying the K.I.S.S. principle – and we’re not talking sticking your tongue out at your opponents Gene Simmons style (although we probably did do that more often than we’d care to admit). 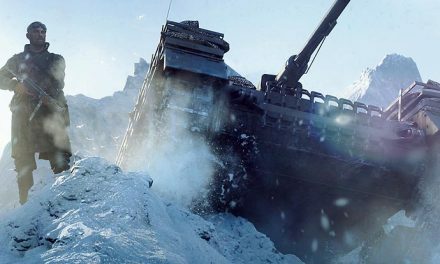 You see, a game can still have simple, pick up and play mechanics with an action focus and appeal to a great many. Some might even argue that it’s a way to definitely appeal to an even broader audience. T20 cricket – and in particular Australia’s Big Bash series – has proven this point, as cricket’s old school wring their hands and grumble as they sit through their five-day, crowd-free snooze fests that often don’t even end up with a result. 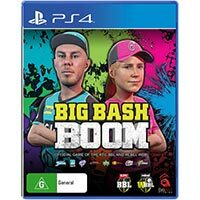 Big Bash Boom, for the most part, succeeds in its aim of keeping things simple to appeal to pretty much anybody who can grasp a controller. As with actual cricket, there are two distinct modes – bowling and batting. 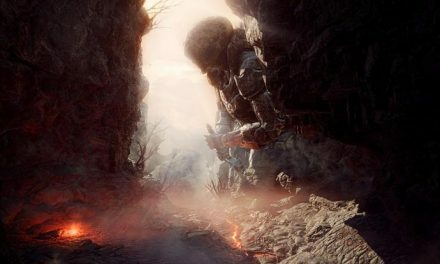 While the former takes a very traditional video game approach by showing a view from behind the bowler as they thunder or potter in, the latter is altogether, well, stranger. Instead of maintaining the same behind-bowler view throughout, we instead get a view from behind the stumps when batting. It takes some getting used to, especially when the infinitesimal ball is virtually invisible and some deliveries are so quick that the target reticule is of little use. After our idea to change to one of the many odd alternate balls in the beach ball didn’t work, as it just changes colour, not size, we found that the secret to smashing the speedsters was basically selecting a shot as soon as the bowler lets the ball go. 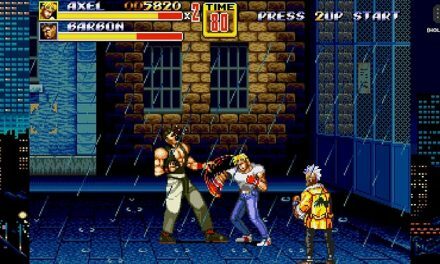 As for shot selection, you have four to choose from via buttons, as you push the stick in whichever direction that you hope that the ball will go. Also, like with all cricket games, once you find a special spot that yields a six every time nobody will ever want to play with you again. Bowling is much the same control-wise, just changing the four options between the standard bowlers and the spinners. Field catching, meanwhile, isn’t super-intuitive, requiring a directional push and a button press to catch – which rarely worked for us, so we got caned by the commentator. Speaking of, Melbourne sports voice Pete Lazer was roped in to provide commentary, and while it does start repeating phrases after a while, at. Least. It. Isn’t. Disjointed. Like. So. Many. Such. Commentaries. Can. Be. It does have a few bugs to be ironed out though, like when we had two wickets fall in succession at the tail end of our batting over, got the opposition’s first batter out for a golden duck and Pete gleefully informed us that we’d scored a hat trick… Oops! The commentary is just part of an officially licensed package that is very well presented. All the real teams, their currently rostered players and their mascots are here – and we’re talking both BBL and WBBL. 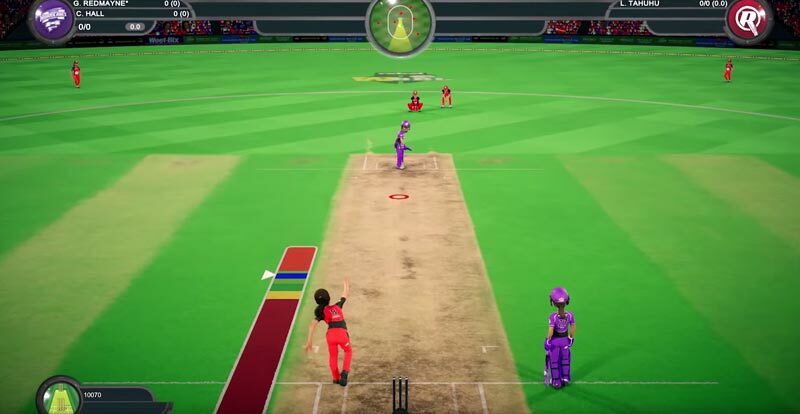 As Big Bash Boom goes for a kind of NBA Jam kind of vibe, all those players have bigger than usual heads (that’s not a comment directed at their egos), and a series of mostly annoying power-ups are available for both batters and bowlers. When you sky a sweet sure-to-be-six only for a fielder to launch skyward like a NOS-fuelled Iron Man and take it, you’ll know why we think these are a bit crap. There are also oodles of celebrations/taunts to unlock, although you’ll need some sort of degree in metaphysics to remember all of the required button presses. You’ll also be hitting BBB for a long, long time in order to be able to afford most of them via the in-game currency that’s accumulated through playing, as you earn little and they cost lots. 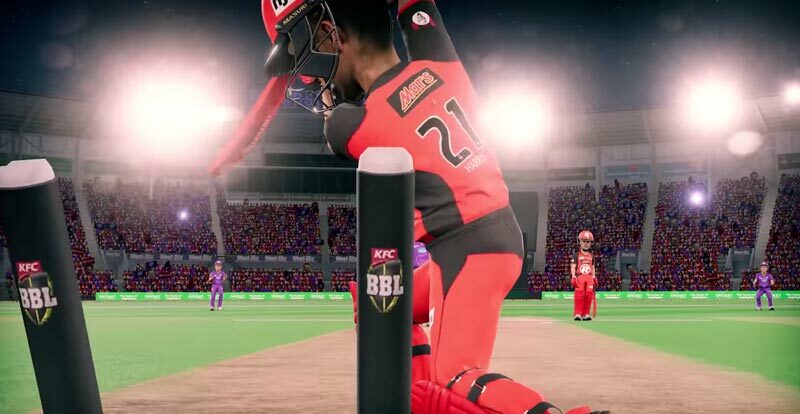 Little niggles aside, ultimately, the only absolutely glaring omission (other than sizing up that ball so it can actually be seen – this is hardly a simulator) is a tutorial mode, which should have been included if the intention was to truly pitch Big Bash Boom at non-gamers. 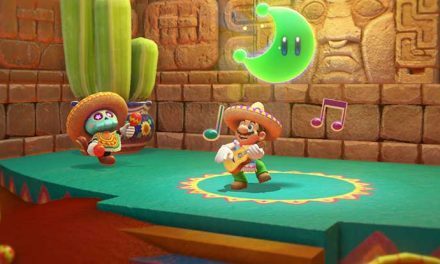 Ultimately, if you want a cricket game that’s easy to pick up and play by pretty much anybody, Big Bash Boom is the best such thing so far this century. Oh, and go ‘Gades! Big Bash Boom is available now for PS4, Xbox One and Nintendo Switch.